EMC’s big bet on software is likely to get even bigger at this week’s EMC World conference in Las Vegas. A year ago, the company announced ViPR, a storage virtualization and management platform designed to span hardware from across EMC and other vendors. This year, EMC may make that platform do even more, and it will showcase another concept for so-called software-defined storage even as it continues to rely on dedicated hardware systems as a mainstay of its business. EMC has made a fortune selling smart storage boxes, such as its VMax and VNX arrays, but its future vision is more focused on the smarts than on the boxes. The company says it’s committed to what it calls a “third platform” of computing built around cloud, mobile, big data and social networking. In that world, storage resources can reside in a number of different places and the real money is in the software that controls them. Several developments over the past year, in addition to the ViPR announcement, have pointed in that direction. In September, ViPR 1.0 became available for non-commercial use. At the same time, EMC announced the Project Nile private-cloud storage architecture and improvements to its Storage Resource Management software suite. Nile, which the company has said will come out in the first half of 2014, might launch at this week’s show. Broader support for third-party hardware in ViPR may also come out. 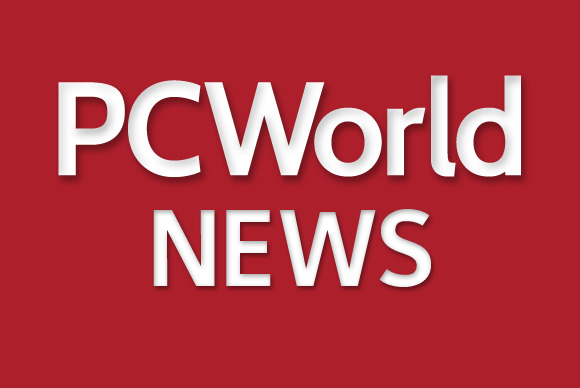 And EMC World 2014 will see at least one new software-based development: Project Liberty, an emerging technology in which EMC’s VNX software runs independent of its VNX hybrid arrays. The company is committed to a software-centered future, but it can’t get there overnight, analysts said. Both within EMC and among its customers, there’s still too much reliance on traditional systems even as shipments sag for some of those platforms. For example, in the first quarter of this year, revenue from the VMax line of arrays fell by 22 percent from a year earlier. While all this is going on, EMC is far from neglecting its hardware. In the past year, the company has also introduced major new flash-oriented versions of the VNX and the smaller VNXe and started shipping its all-new XtremIO flash array. “The challenge is fighting a war on two fronts,” Enterprise Strategy Group analyst Mark Peters said. And while cloud and virtualization are probably causing some tension among business units at EMC, the same is happening between the old guard and new arrivals in some IT departments, he said. Project Liberty is a case in point, according to IDC analyst Ashish Nadkarni. EMC ultimately sees the technology allowing enterprises to roll out a virtual VNX on a public cloud or infrastructure that may or may not be made by EMC. Users wouldn’t get the performance that comes with a VNX array’s specialized hardware, but they would get more flexibility. EMC is suggesting Liberty initially for customers’ test and development projects. A broader rollout would have to be gradual, Nadkarni said. Project Liberty is about letting customers run VNX as software on the hardware of their choice, but that doesn’t necessarily mean users will have free rein, Nadkarni said. EMC puts a lot of work into certifying third-party products for use with its technology, and that will probably hold true for Liberty as well. The same goes for ViPR. Last September’s release of the free 1.0 version was intended for uses such as teaching, academic research and proof-of-concept testing. In January, Version 1.1 came out and ViPR became generally available, still as a free download. The software works with EMC’s VMax, VNX, VPlex, Isilon and RecoverPoint hardware. It’s also compatible with storage systems from NetApp and cloud software stacks from VMware and Microsoft, as well as OpenStack. Version 1.1 added support for HDFS (Hadoop Distributed File System) to turn existing storage into a big-data repository and let enterprises perform Hadoop analytics on their data in place, EMC said. The key to making ViPR useful will be compatibility with a broad range of non-EMC products used in data centers, IDC’s Nadkarni said. That includes ViPR both managing many different storage systems and working with the higher level frameworks enterprises use to control their data centers, including systems like OpenStack and authentication systems. Whatever it may do this week, EMC is on its way to making software the heart of its core storage business, Peters of ESG said. That’s where the profit margin and technology advances will come from. EMC is good at changing course and not getting too attached to any given product, he said.